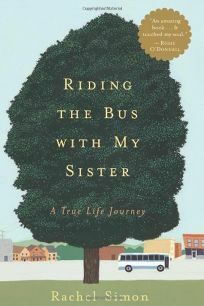 Rachel Simon’s sister Beth is a spirited woman who lives intensely and often joyfully. Beth, who has mental retardation, spends her days riding the buses in her Pennsylvania city. The drivers, a lively group, are her mentors; her fellow passengers are her community. One day, Beth asked Rachel to accompany her on the buses for an entire year. This wise, funny, affecting book is the chronicle of that remarkable time.–From publisher description.